The Ryzen 5 variant of HP's mid-tier convertible laptop is going for its lowest price yet. Today Best Buy has a great deal on a Ryzen-loaded convertible laptop. 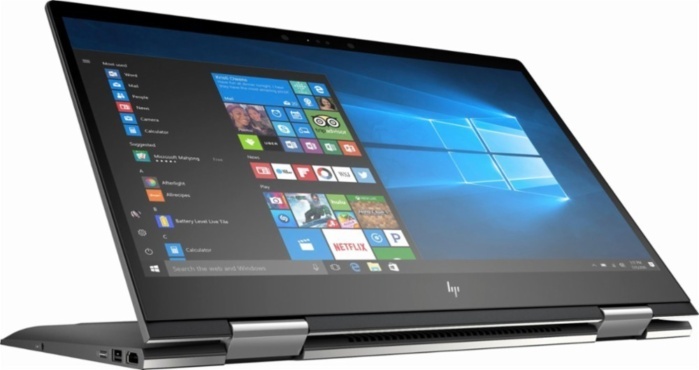 The big box retailer is currently selling the HP Envy x360 for $575. Not only is this price $175 off the MSRP, it's an all-time low. This particular Envy x360 has a quad-core AMD Ryzen 5 2500U processor with Radeon Vega 8 integrated graphics. While we haven't yet tested the laptop versions of this processor, early reports about the 2500U indicate that it competes well with 8th-generation Intel Core U-series chips and GeForce MX150 graphics. In fact, AMD claims that its Vega 8 graphics core is on par with Nvidia's GTX 950M. This Envy x360 also comes with 8GB of RAM and a 1TB hard drive. The 15.6-inch touchscreen display has a 1920x1080 resolution and is designed to take advantage of Windows 10's inking capabilities. For ports, you get one USB-C, two USB 3.1, and HDMI out. There's also a memory card reader and support for Bluetooth 4.2 and 802.11ac Wi-Fi. As a mid-tier model, this Envy 2-in-1 isn't quite as slim as its fancier (and more expensive) Spectre equivalent, and weighs in at 4.74 pounds. No end date has been given for this sale price, so don't hesitate too long if you're interested in this notebook. PSA: As a general reminder (unrelated to this deal)—today, December 22, is the last day to get two-day shipping from Amazon before Christmas. Tomorrow, December 23, is your last shot at one-day shipping before the big day hits. Best Buy's schedule is not the same as its online competitor, so be sure to check your options for each online store you shop at.